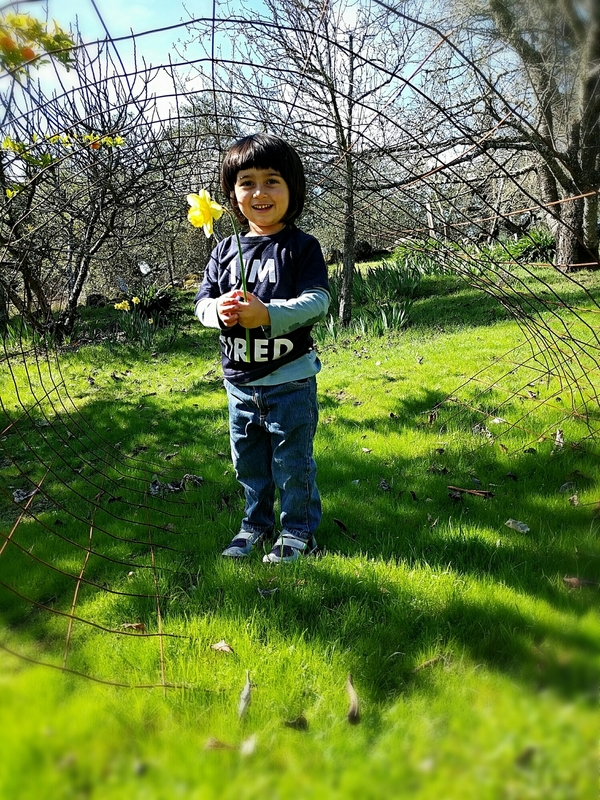 We visited with good friends this morning, on this sunny Valentine's Day that feels like spring. Later we planted our EarthBoxes with mustard seedlings that I'd started from seed months ago. 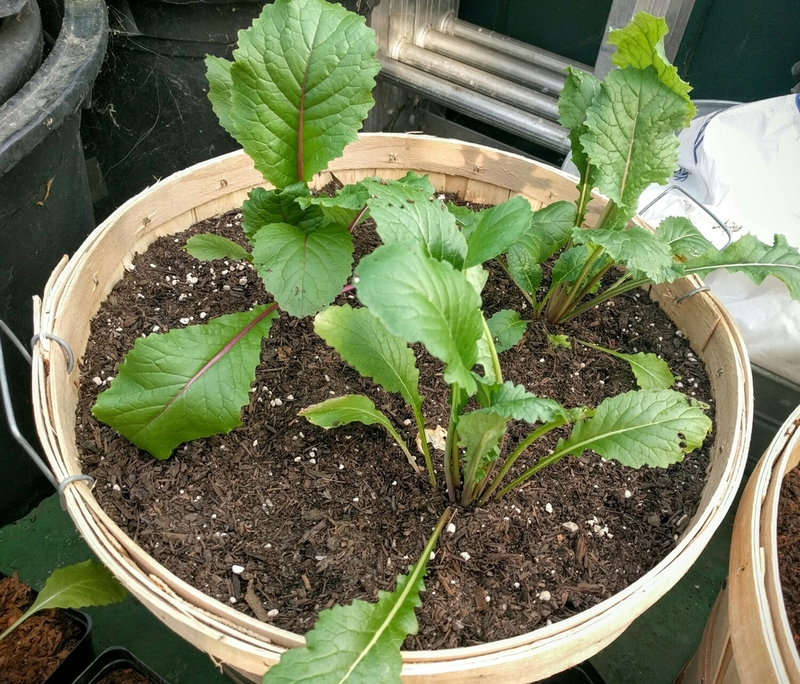 I realized the mustard leaves looked a lot like the leaves on the echinachea seedlings I'd been painstakingly transplanting into bushel baskets and nursery planters all winter. Ruh-roh. A Google image search revealed that the bushel baskets and nursery planters were, indeed, full of mustard greens. I must have mislabeled a planter or somehow mistaken one pile of beigeish teeny-tiny seeds for another pile of beigeish teeny-tiny seeds. It's not a catastrophe. I love mustard greens, especially lactofermented, the way Adam preserves them. But I feel pretty silly.